Where there is great food, you’ll find Food Bloggers following in their wake. Although not as plentiful as places like London or New York, Devon has a small army of food bloggers and publications that highlight the very best that the county has to offer. A new kid on the block is Gabrielle from The Devon Foodie (www.thedevonfoodie.com) who is out to review, digest and report foodie happenings from across the county. Eager to welcome her to the pages to Eating Exeter, I just had to send 10 Questions for her to answer. 1. Food blogging is a hazardous occupation! What inspired you to start writing about food and restaurants? I’ve always loved food. Dining out has been one of my favourite pastimes for as long as I can remember and growing up in Devon meant that I was exposed to the reality of farming and growing your own produce from a young age. As far as writing about food is concerned, I’ve been putting pen to paper (or fingers to keys) for quite some time. After graduating from university I interned at Crumbs Magazine and fell in love with food journalism. Their editor, Laura Rowe (now editor of Olive Magazine), was hugely supportive and she inspired me to start food blogging in my spare time. I went on to live in London for about a year or so and was lucky enough to be hired to review some of the best restaurants the capital had to offer. However, ultimately I realised that my heart belonged in the South West and when I returned to the shire earlier this year I decided to start The Devon Foodie as a means of maintaining my mutual love of food and writing. 2. There is always a lot going on in Devon on the food scene, which news sources do you use for foodie stuff in Devon? Social media is an invaluable tool for the aspiring blogger. I always make a habit of checking Twitter and Facebook for upcoming events and restaurant openings. There are a lot of dedicated bloggers out there who do a great job of keeping us all up to date with the latest Devon based news. 3. Is there more than one of you? Who is behind the mask? I predominately write and maintain The Devon Foodie by myself, but no doubt you’ll find me referring to The Devon Foodie ‘team’ quite a lot. That’s because I get a helping hand with ideas and reviews from a handful of my family and friends. 4. 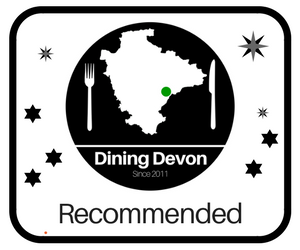 Where is your favourite dining place in Devon? The Combe House in Gittisham used to be my favourite place to eat locally. The service was impeccable and the food was just short of Michelin quality. I was very sad when I heard it would be closing but I can’t wait to try out The Pig at Combe and see if it lives up to the hype! I also love Kentisbury Grange for fine dining. My family stayed there during the Christmas period last year and we were blown away by the quality of its taster menu. For a more casual dining experience, I love Toast Café in Honiton and The Ness in Teignmouth. As well as loving tasty food, I’m a sucker for unique décor and both establishments have bucket loads of style. I was once asked to review a restaurant in Notting Hill that only served vegan food and teetotal mocktails. The service was extremely slow and the food just didn’t hit any of the right notes for me. I went in ready to experience something a little but different but felt that all of the food was repetitive and seriously lacked flavour. Don’t get me wrong, I’m sure there is a lot of merits to a vegan diet but on this occasion my partner and I left feeling hungrier than when we went in! 6. How do you select a restaurant? Do you use TripAdvisor or another source for reviews? A lot of the time I go by word of mouth. My family and friends are pretty much all foodies and there’s always somewhere on our list to try. I like to read local magazines and food blogs to find out what places people are talking about and I do find TripAdvisor a useful tool for double-checking a restaurant’s reputation. 7. Do you have any long-term plans for the blog? I plan on continuing to upload regular content for as long as I enjoy writing about food (which I imagine will be a long time). I’m also keen on getting some guest bloggers to write for the blog in the future because meeting likeminded foodies is all part of the fun! 8. I like the fact you have recipes on your blog, and ingredients are always important. Where is your go-to place for buying foodie stuff? I tend to do a lot of my shopping at places such as Darts Farm and Greendale Farm Shop. 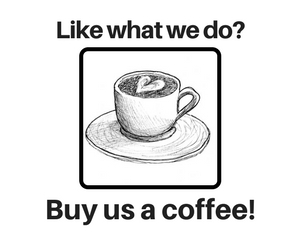 A lot of the time you have to buy your essentials from the likes of Waitrose or Sainsbury’s but as a rule I try not to support big supermarket chains because I feel that they take a lot away from our local businesses. I want to make sure that the meat and vegetables I buy are responsibly sourced and it’s much easier to ensure this when you buy directly from producers. 9. If you had to rescue one kitchen appliance from your burning house, what would it be? 10. Which restaurant would be a dream to review? Right now I’d have to say Michael O’Hare’s restaurant ‘The Man Behind the Curtain’ in Leeds. His food is quite literally a work of art and I’m desperate to know what his ‘Emancipation Fish &amp; Chips’ tastes like. Back in Devon, I wouldn’t say no to The Elephant in Torquay and I’ve always wanted to eat at River Cottage HQ.